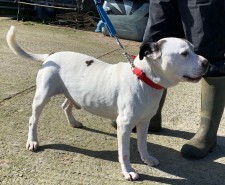 Duke is a very friendly 6 year old staffie who needs a new home.He loves people and other dogs but doesnt like to be left alone for too long. 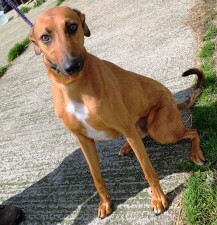 Duke deserves a loving home - what a sweetheart he is. Please call Bob on 01947 810787. Meet Storm - he is a 6 year old lab who needs a new home due to family circumstances. Storm is good with children and loves to play on the beach. 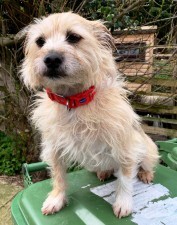 He is quite bouncy and needs a strict hand on a lead but we are sure he will settle soon. Please call Bob 01947 810787. Tyson is a gorgeous young blue staffie - he is about 2-3 years old. Tyson is a friendly chap who would love a home of his own where he can run around in an enclosed garden - Tyson does not like to go on a lead at all. Please call Bob 01947 810787. Star and Topper - beautiful, middle aged girl and boy staffies needing a new home, please call Bob on 01947 810787 for more information.